An altogether friendly bookkeeping experience. And want to know exactly what you are paying for? Get in contact with Mark today on 01902 902680 to find out how we can help with your requirements for Bookkeeping, VAT return preparation, reporting and much more. 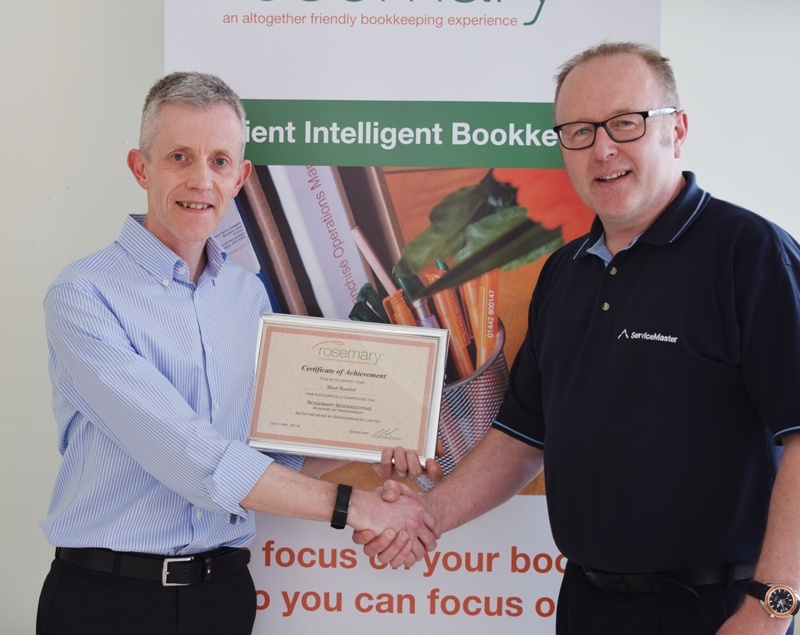 At Rosemary Bookkeeping our bookkeepers are all trained in the Rosemary System of Bookkeeping you can ensure your books and VAT returns are processed not only efficiently but intelligently and by providing you with monthly reports you can keep up to date with how your business is doing. We can also provide your accountant with all that they need in order to finalise your Year End Company reports. Let us focus on your bookkeeping so you can focus on making your business a success. Rosemary Bookkeeping Wolverhampton & Bridgnorth will take care of recording all of your business transactions and implement an intelligent bookkeeping system making sure there are no gaps in your record keeping, reconcile your business bank and credit card accounts, loan accounts, give you detailed reports of your debtors and creditors, complete your quarterly VAT returns and, if you wish, submit this to HMRC on your behalf, and provide you with a monthly profit and loss report if required. We will prepare your accounting records to trial balance ready for submission to your accountant at the end of your financial year. We will be pleased to liaise with your accountants to assist them in their work on your year-end accounts and tax returns. Contact Mark today on 01902 902680 to see how we can help with your requirements for assistance with your VAT return, out sourced bookkeeping and your day to day requirements for Bookkeeping in Wolverhampton & Bridgnorth and the surrounding areas.